Offering you a complete choice of products which include sprinkler rain gun. We are well-known enterprise instrumental in developing innovative quality Sprinkler Rain Gun. It is the innovatively designed long-range sprinkler, which works best for crops including sugarcane, pulses, oilseeds, cereals, and vegetables. Thoughtfully designed for dust suppression, the offered rain gun is developed in medium to high volume specifications. 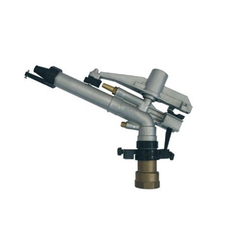 Further, our prestigious clients can order the high performing rain gun from us at a nominal price.